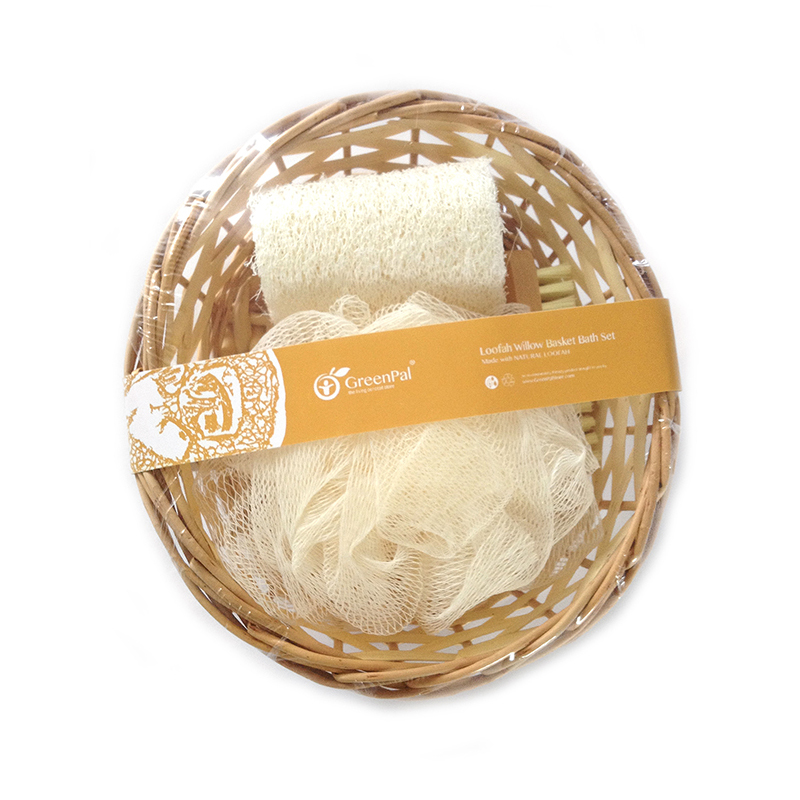 Loofah Willow Basket Bath Gift Set is made with natural loofah fiber. Packaged with willow rattan basket. It consist of a natural bath loofah, a natural bath puff and a wooden oblate shape scrubber. The natural loofah gently scrubs your skin for a clean and refreshed feeling! It's the perfect partner for your bath routine. Made with natural Loofah. Basket made with Willow Rattan. Bath puff made with Polyethylene. Loofah also known as luffas is a biodegradable and renewable resource. Unlike other sponges over-harvested from the sea or manufactured from non-recyclable materials, the loofah is grown on a vine. Exfoliate dead skin and increase blood circulation. 1 natural bath loofah (without rope). 1 wooden oblate shape scrubber. DO NOT expose the loofah bath sponge directly under the sunlight. It will lighten the loofah color and break down the fiber. Although Loofah bath sponge is good for exfoliate dead skin and increase blood circulation. However, some experts recommend taking shorter showers for exfoliation, as over-hydrated can easily damaged your skin.